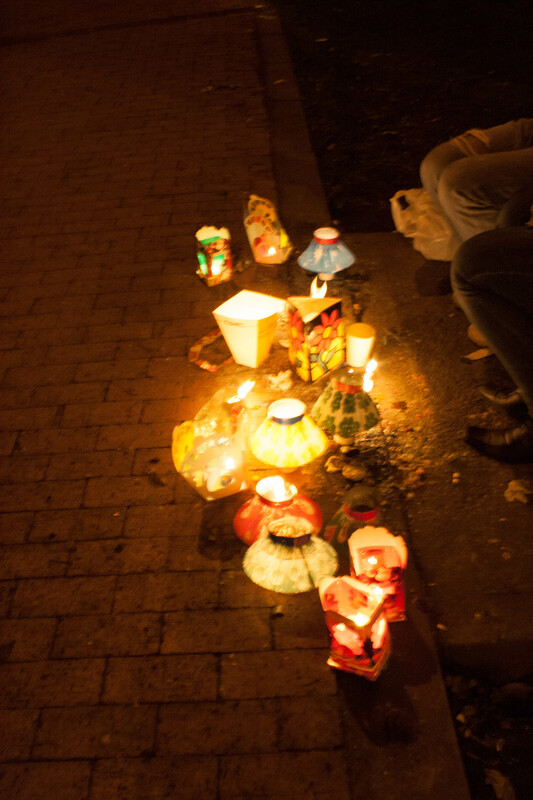 Throughout the Americas, Christmas is celebrated with lights. 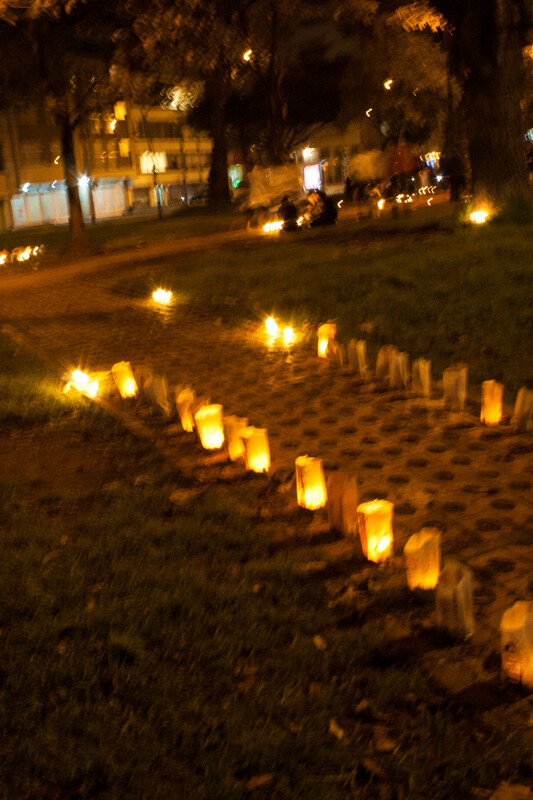 In Bogota, we light candles in the street and decorate the parks with florescent strings in semi-unrecognizable shapes. 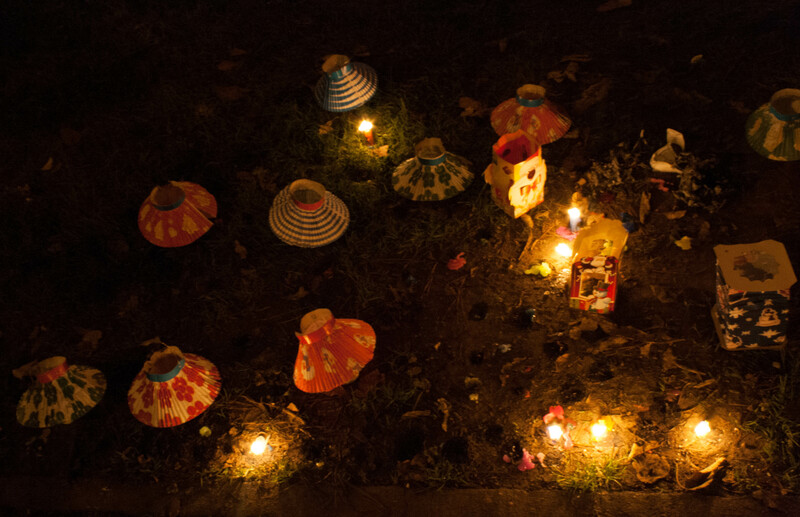 In northern Mexico, elaborate life size nativities and candy canes shine in the night. In Canada, we hang our trees with lights and drape garlands over our windows, shining Christmas at those who pass by. The hopeful light Advent candles every Sunday in December. 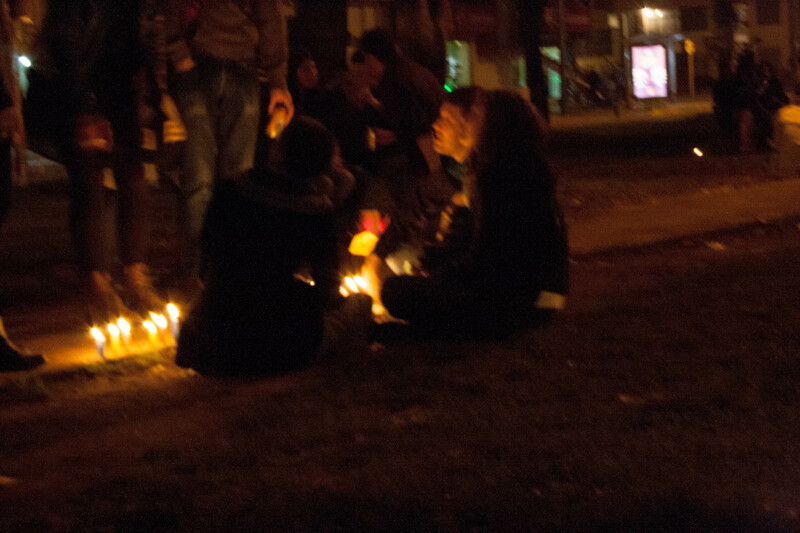 For millennia, we have used light to foster off the dark. It must have been comforting to sit in a cave and watch the flickering flames shine against the night waiting just outside. 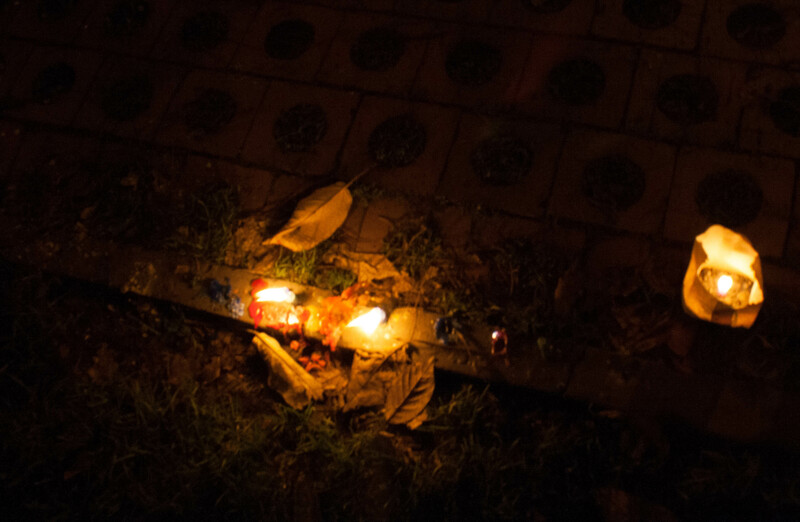 In celebration, or in memory, we often light a candle. In the chapel at the Bogota airport, nervous flyers can flick a switch to turn on a tiny light bulb whose steady glow somehow calms them enough to entrust themselves or their loved ones to the journey. 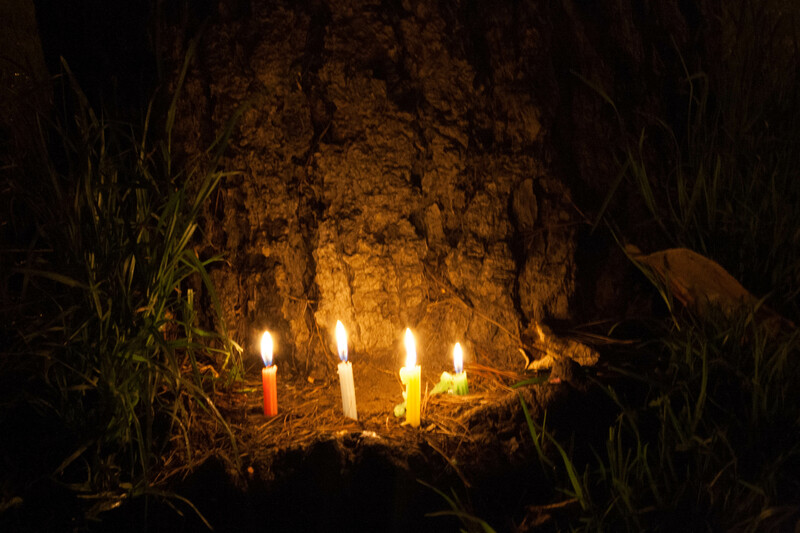 In the northern hemisphere, Christmas coincides with the winter solstice, yet even in Colombia, where the days at the same length all year round, lights abound. They speak of family gatherings, of roasted turkey or tamales and the human condition of trying to find a balance between day and night, light and darkness, of the embodiment of hope. Lighting a candle or of hanging a light is an act of agency, a choice to remember that there is always the possibility of light in darkness. All it takes is one small light to reveal the wonder of the dark, beauty illuminated. Without darkness, there would be no need for light. I have lost faith this year: in easy answers, in straightforward stories, yet I have participated in many activities that have filled me with wonder. At times, I have been lonely and afraid, yet also surrounded with people whom I love. In the same way, every year, Christmas comes again, a gentle reminder that hope is cyclical, that with all of the shopping and the eating, we yearn to celebrate life and faith, even when the fullness of the celebration seems impossible, due to conflict, illness or family members in jail, for example. I do not want to live within the bright burning light of certitude nor in the complete darkness of despair. This Christmas, I want to remember and inhabit the shadows of possibility, the soft potential of hope that lives beside the light. We need the beauty of light to reveal that the darkness is not as scary as we thought; that the long stretching shadows cast by small lights are invitations to abide and to work together. This is my Christmas invitation, for all of us. Let us turn our solitude into solidarities, let us live with hope in the flaring shadows of light. One of my favourite poets says it best.